The 2016 Honda Odyssey continues to impress College Place and Kennewick drivers with its outstanding driving dynamics, versatile interior, and tremendous space for both passengers and their belongings. Defined in part by its ability to take up to eight passengers in style and comfort, the 2016 model also offers plenty of family-friendly technology such as the available HondaVAC and a rear entertainment system. With space for the whole family and everything you need for a fun, hassle-free journey, the 2016 Honda Odyssey has firmly established itself at the forefront of the minivan segment. College Place and Kennewick families demand a lot from their minivans. The ideal model needs to be both powerful enough to make driving feel effortless — even while fully loaded — and efficient enough to go the distance. Thankfully, the 2016 Honda Odyssey has you covered. It employs some of the most advanced technology around to get every bit of horsepower from its V6 engine while burning as little fuel as possible. Your Odyssey derives its car-like driving dynamics and pin-point responsiveness from a 3.5L V6 engine. It produces 248 hp and 250 lb-ft of torque at your disposal. With that kind of power beneath the hood, you might just forget you’re behind the wheel of a minivan when you hit the gas. The Eco Assist feature places an ECON button on your dash. With one push, it adjusts fuel-consuming systems to ensure that you achieve even greater levels of efficiency. At the same time, colored coaching bars help drivers to refine their driving style in order to make every gallon of fuel count. 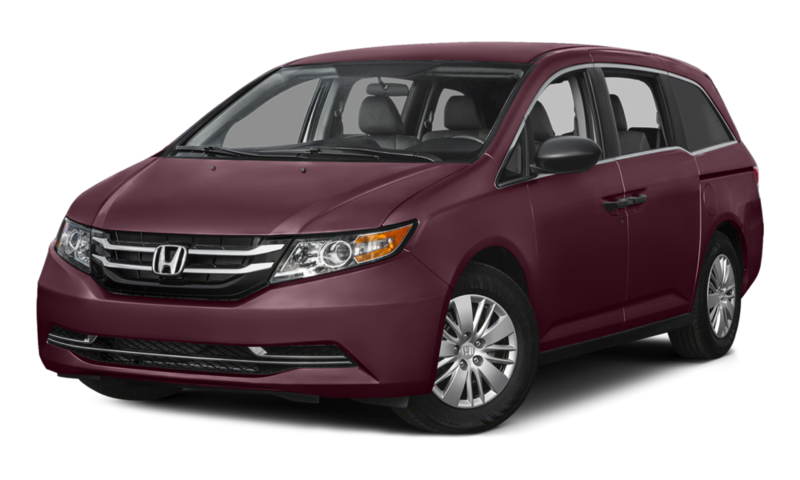 The ability of the 2016 Honda Odyssey to combine a powerful drive with efficient cruising owes a lot to variable cylinder management. This innovative fuel-saving technology automatically deactivates either one-third or one-half of the cylinders according to driving conditions, then quickly reactivates them when you need full power. The Odyssey is, first and foremost, a family vehicle — and if there’s one thing parents yearn for, it’s a little peace and quiet. Honda believes that should extend to their drive, so the Odyssey has been built with active noise cancellation technology to ensure that the cabin remains tranquilly disconnected from the hum of the engine and the bustle of the outside world. With traditional systems, your cable throttle is manually adjusted when you hit the accelerator. The drive-by-wire system automatically monitors pressure, and then relays it with no direct link between accelerator pedal and the throttle. This means that features such as traction control and stability control can be controlled through the same system, for enhanced safety and improved performance. Nothing matters more to College Place and Kennewick families than safety, so Honda made it a priority during every stage of the 2016 Honda Odyssey’s design. With a range of active and passive safety systems that are ready to reduce the likelihood of accidents and provide superior protection if one should occur, this is one of the safest minivans on the road today. Other manufacturers might offer a rearview camera, but Honda’s system includes guidelines to help you back up with even greater confidence. This can decrease the likelihood of causing scratches and dings to both your Odyssey and other vehicles. 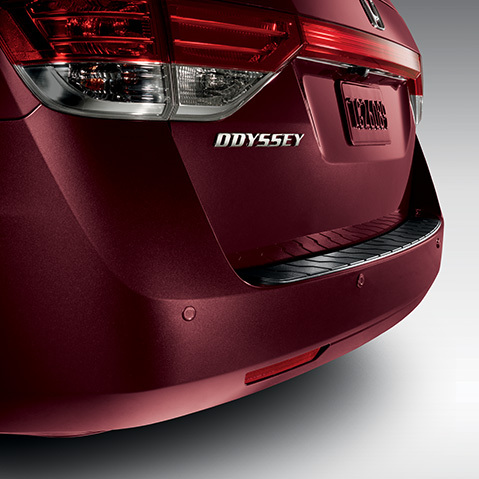 The 2016 Honda Odyssey features safety technology at its very core. In the event of a collision, the Advanced Compatibility Engineering (ACE) body structure will automatically leap into action, intelligently distributing impact energy away from you and your family. 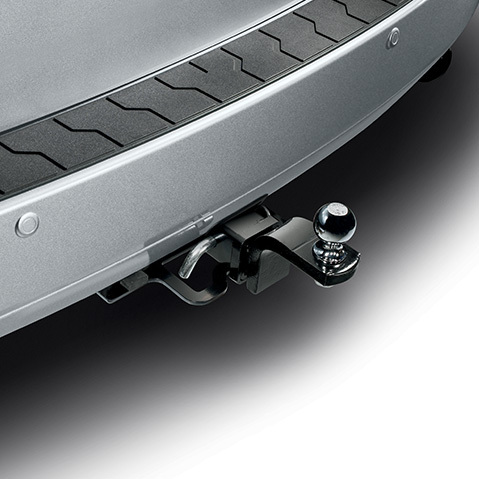 Coupled with the Odyssey’s anti-lock braking system, this technology helps to prevent your wheels from locking when braking pressure is applied. It automatically distributes the amount of force applied to each of the vehicle’s brakes to account for speed, road conditions, and vehicle load. Part of a diverse range of Honda Sensing technologies, the Forward Collision Warning system can help you avoid an accident by constantly measuring the distance between your Odyssey and the vehicle ahead. If the gap become hazardous and a collision is imminent, it provides an audible and visual warning, giving drivers time to safely apply the brakes. Driving long distances can make even the most vigilant of drivers lose focus on the road. Fortunately, the Lane Departure Warning system constantly monitors your position on the road and provides an alert if it senses you deviating from your chosen lane without activating your turn signal. These low-level lights provide illumination when the sun is out. They don’t use much energy, but daytime running lights have been proven time and again to increase visibility enough to make driving significantly safer — that’s why Honda includes them with the Odyssey. The 2016 Honda Odyssey does nothing less than turn your cabin into a home away from home. Long journeys don’t need to be dreaded — nearly anything your living room can do, the Odyssey can do, too. College Place and Kennewick drivers will also find that the interior is incredibly versatile, with the ability to shift between eight-passenger occupancy and up to 148.5 cubic feet of cargo space. One of the most celebrated features of the 2016 Honda Odyssey is its integrated vacuum cleaner. Parents won’t thank us for reminding them how quickly a vehicle can become messy with kids in the back, but they’ll love being able to quickly and easily take care of it. Stored in the rear — with a reach long enough to access the whole cabin — the HondaVAC makes cleaning up a breeze. If the second-row needs to take three people, the dividing console converts into a comfy third seat. With that division lost, you might think that passengers would feel a little crowded — but you can use Wide Mode to move the outboard seats 1.5 inches to each side and give everyone a little extra breathing room. Even with all seats occupied, there are heaps of space in the 2016 Honda Odyssey for all of your cargo — up to 38.4 cubic feet behind the third-row seats, in fact. Of course, you can flip down the Magic Seat to accommodate even more. Folding down in one quick and simple motion, it allows you up to 93.1 cubic feet behind the second-row seats. Other minivans might feature rear entertainment systems, but this system blows them away. At the touch of a button, the huge 16.2-inch screen folds down from the ceiling, with sound pumped through wireless headphones. It can even accommodate game consoles. Mobile phone integration is great for staying connected when you’re on the go, but the HondaLink system takes that even further. Need to find a good nearby restaurant in a hurry, or listen to Internet radio, or put on one of your families favorite audiobooks? Just use the HondaLink system to do so. Missed exits, late meetings, traffic jams, and pulling over for directions all become a distant memory with on-board satellite navigation. Advanced GPS technology will get you where you need to go faster than ever, and voice-recognition technology allows you to control the system without taking hands from the wheel or eyes from the road. The 2016 Honda Odyssey comes with a wide range of impressive standard and available technology for College Place and Kennewick drivers to enjoy, but it’s also offered with some additional accessories to help you make the most of the vehicle. Whether you need additional storage or simply a cleaner windshield, the Odyssey can be fitted with a solution. With the Honda Odyssey’s impressive interior dimensions, you’ve already got plenty of cargo space to work with. 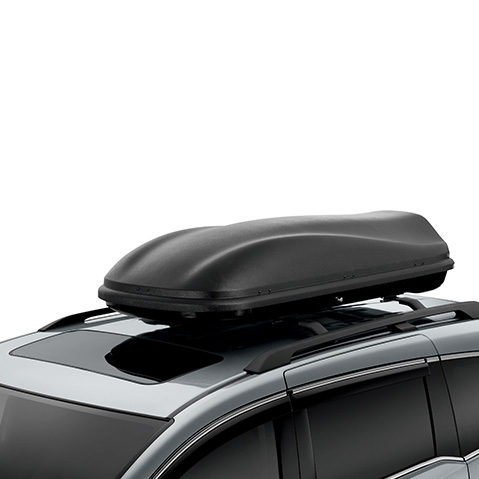 However, for those who need to take both large loads and a full complement of passengers, a roof box is a great choice. Fitting easily to the vehicle’s roof rails, they come in a number of sizes to fit your needs. Weekend warriors and active families need a minivan that can accommodate their outdoor toys — particularly bikes. 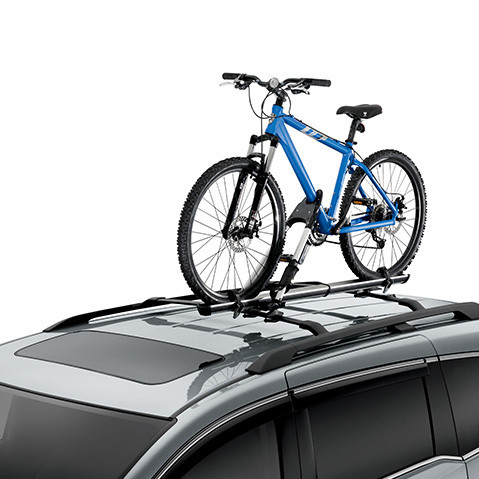 The Odyssey’s available bike attachment roof mount lets you do just that, fitting bicycles securely to the roof without making it necessary to remove the tires. They can even fold flat when not in use. Thanks to the mighty 250 lb-ft of torque produced by its V6 engine, the 2016 Honda Odyssey boasts an impressive towing capacity of up to 3,500 pounds. The trailer hitch lets you take full advantage of that rating by providing a safe connecting point for a variety of trailer types. The Odyssey might feel more like a sedan when you hit the gas, but its size can become a problem when you’re attempting to park. If that’s the case, backup sensors make a great addition — they’ll beep at varying speeds according to your proximity to obstructions, making reversing easier than ever. 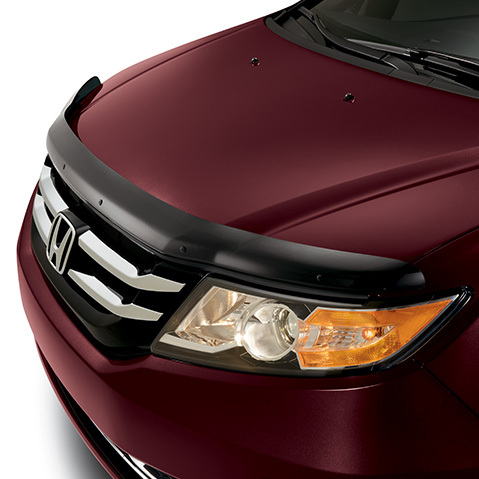 This accessory helps keep your Odyssey looking its best and your view ahead unobstructed. Mounted easily to the front of the vehicle — and almost unnoticeable right above the grille — it pushes away dirt, insects, and small pieces of road debris to keep the windshield spotless and protect your hood’s finish. 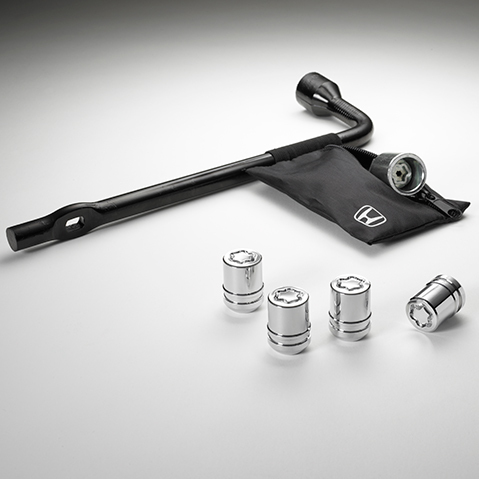 Wheel locks might not sound like important accessories, but Honda’s stand as a testament to the manufacturer’s attention to detail and innovative design. With a chrome finish to fit with the vehicle’s style, they need a special tool in order to be removed, meaning that your wheels are safe from thieves or vandals.